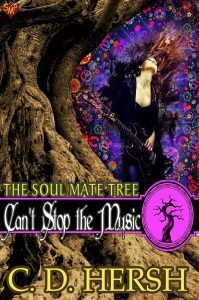 This is a sweet second chance love story featuring two people, Rose and Dakota, as they meet too briefly at Woodstock. They each feel a connection, but circumstances prevented them from acting on that connection. Fast forward several years and fate has once again stepped in to throw Rosemary and Anthony together. They each realize the connection is still there, but there are now other circumstances that try to get in the way. The first part of the book features their time at Woodstock and the author does a wonderful job making you feel as if you were there. I could almost feel the rain and the mud, smell the pot, and hear the music. It was indeed a once in a lifetime experience. All of the characters, even the secondary ones, were very well drawn. The author did a great job at showing both side of the “free love” issue from the sixties. This was a quick and enjoyable read–I was surprised when I got to the end of it. I literally could not put it down once I started reading it. Kudos to the author.